Calgary has launched a new program called ReDirect that aims to steer young people at risk of becoming involved with political or religious extremism away from a life of violence. Police and city officials are launching a new program aimed at preventing young people in Calgary from becoming involved in what they call criminal radicalization. The program, dubbed ReDirect, is aimed at turning young adults way from extremism by working together with community partners to help police identify those at risk of being swayed by radical religious or political ideologies. 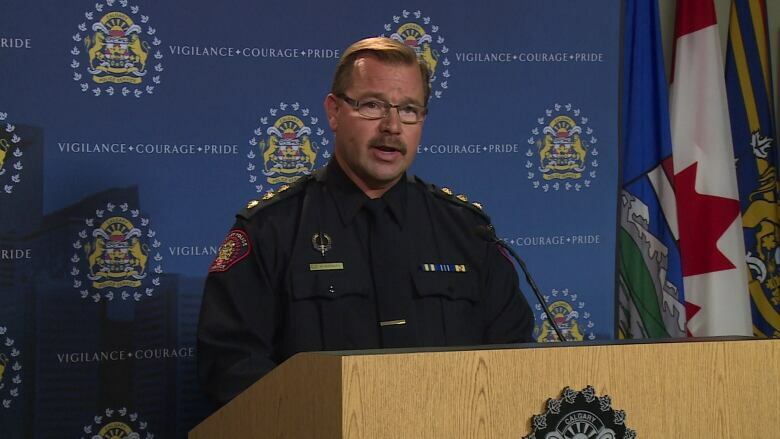 "The program's looked at international best practice but it's also considering the Calgary dynamic that we have here by engaging with Calgary community, faith leaders, everybody that's involved with this type of information," said Insp. Mike Bosley of the Calgary Police Service. Police are encouraging anyone concerned about a friend or family member becoming involved in violent extremism to reach out to ReDirect members at 403-428-8200, by email at redirect@calgarypolice.ca or by accessing a referral form at www.calgarypolice.ca. "Realistically, what we're looking for is that relationship of trust with the community," Bosley said. "The reality is for the police service, we won't get people phoning if we don't have the trust of the community and the people in the program." The RCMP and Public Safety Canada are partners in the effort, which is an extension of existing programming available through the city's community and protective services department.